We are very proud to be the contract caterer at Dean Trust Wigan. Mellors Catering Services are an established, family-run business that has been catering successfully for Primary, Secondary School and Further Education sectors across the North of England since 1995. Weekly menus provided by Mellors Catering Services have been planned to offer choice and variety for your child that doesn’t cost the earth. We provide hot wholesome meals daily, fresh vegetables or salad, a vegetarian choice, hot and cold desserts, snacks and sandwiches, juices and drinks. Please contact the on-site catering manager if there are any specific dietary requirements we need to be aware of. This could include salt/sugar/fat content, level of dairy products or allergy information such as wheat, yeast, nuts, etc. However there is a direct link on our website to our Company Nutritionist, Danielle Bretherton who can answer any specific questions you may have. 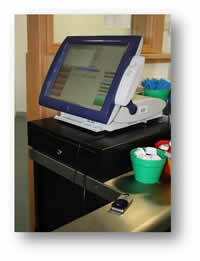 Dean Trust Wigan operates a cashless catering system. This means that no money is exchanged at the point of sale. 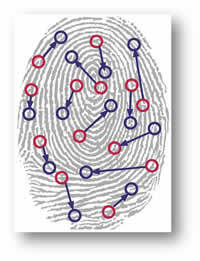 Instead, pupils ‘top-up’ their account using their registered finger, or thumb. This is done by scanning their registered digit on one of the two pay boxes, the pupils account name and balance will appear on-screen and when cash is inserted it its automatically topped up. 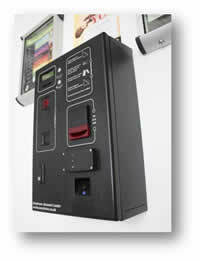 You can then go to collect your choice of food which is inputted into the system by a lunch-time assistant. The purchase is then paid for by scanning their finger/thumb at the till.